Elastic Band CD submitted to the GRAMMYs! I’m very pleased that the Acis album be•spoke has been submitted to the GRAMMYs for consideration. 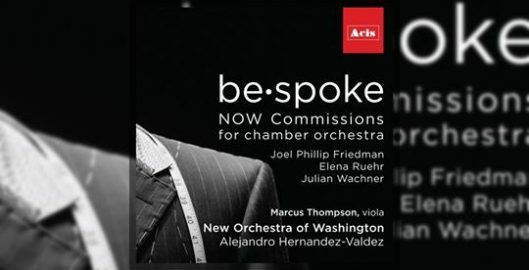 There is so much great work by Elena Ruehr, Julian Wachner, Alejandro Hernandez-Valdez, Marcus Thompson, the New Orchestra of Washington, Kevin Bourassa, and others on the CD.